Clifton Observatory invites you to take part in our Giants Easter Hunt! Join Ghyston, Goram & Avona in exploring the Camera Obscura and the Giants Cave searching for clues that will lead you to an Easter surprise. All you need to do to get involved is head up to Clifton Observatory during the Easter holidays and ask the receptionist for your Easter hunt quiz. Our Giants Easter hunt will be running from 10am – 5pm from the 8th of April until the 22nd of April. 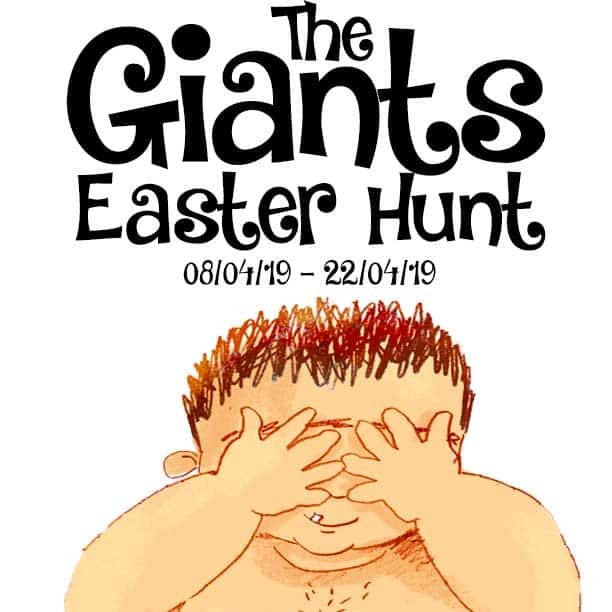 Our Giants Easter Hunt is open to all children between the age of 4 – 14 and is available upon purchasing a child combined entry ticket for £2.50. Explore the depths of the Giants Cave & windy Tower in search of clues to each question before returning your completed quiz to our reception to redeem your chocolate surprise. Please note: Children must be 4 and over to enter our giants cave and we ask all visitors to take care climbing the steep and slippery steps. Please also advise a member of staff of any allergies before receiving the prize. We look forward to welcoming you all to the Giants Easter Hunt and hope you enjoy exploring.